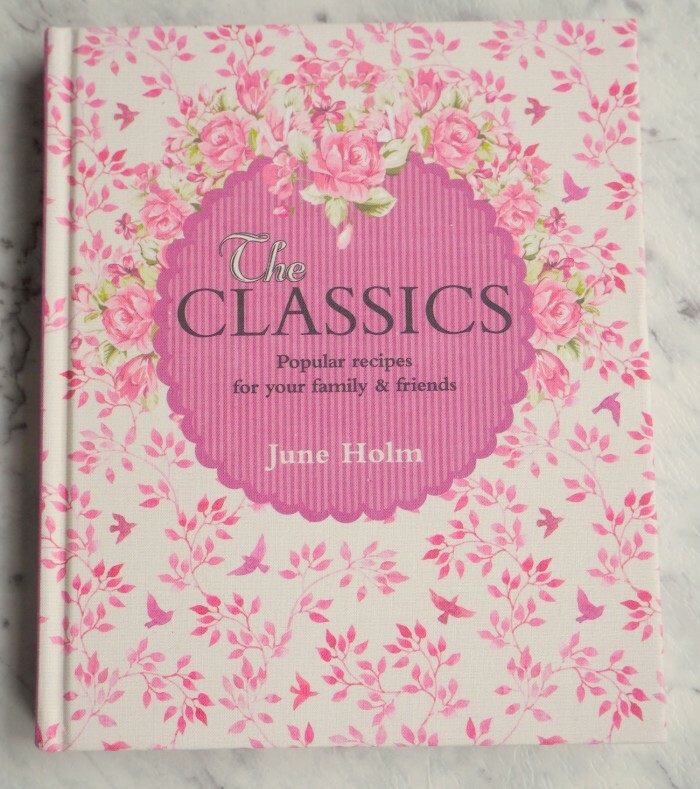 You can find this little beauty in the tome of deliciousness that is The Classics by June Holm. What’s better than one recipe? A whole book of them! 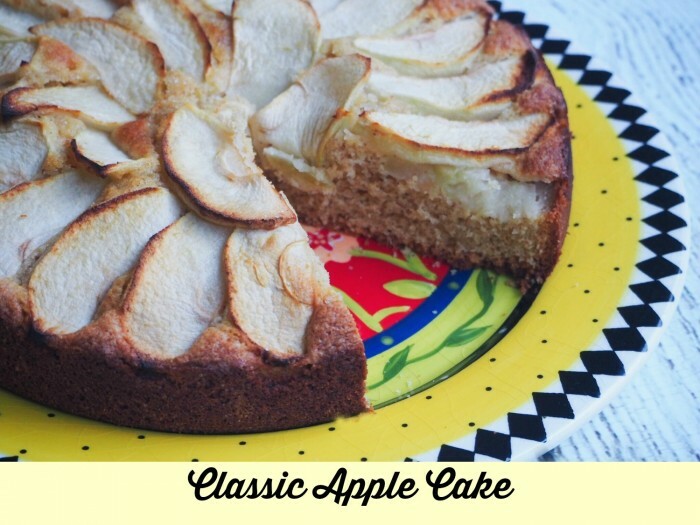 There’s so much to love about this apple cake; the light texture, the soft spices and the sweet slices of apple to top it all off. I used the Thermomix to do the bulk of the work, but whipped my egg whites to perfection and mixed the batter lovingly with my own fair hands (and a wooden spoon.) 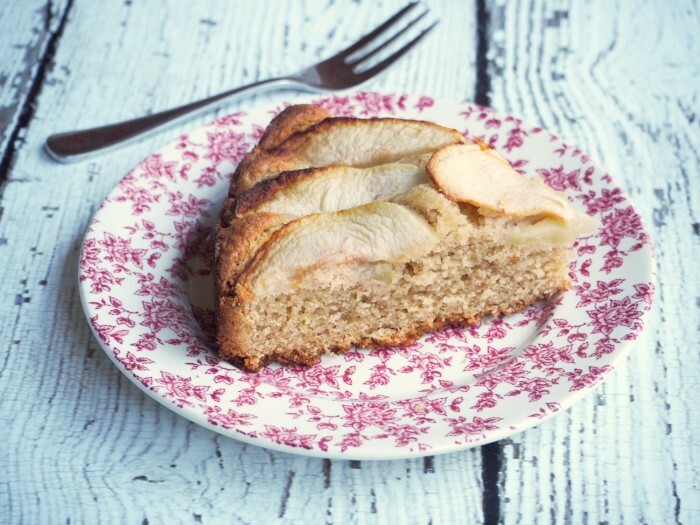 I’ve included the classic recipe and my Thermomix semi-conversion so you can cover all your bases, and have your cake and eat it. Preheat oven to 180C / 160C fan-forced. Grease and line base of a deep round cake tin. Brush the apple slices with lemon juice. Beat the butter and 150g sugar together in a mixing bowl until thick and pale. Add the egg yolks one at a time, beating well after each addition. In another clean, grease-free bowl, whisk the egg whites until firm peaks form. Add half the egg whites and flour mixture to the batter and whisk together carefully. Repeat with the remaining egg whites and flour mixture. Mix well. Pour the batter into the prepared tin. Press the apple pieces into the batter in a circular pattern, and dust with the remaining sugar. Bake for 50 minutes until golden. Leave to set in the tin for 10 minutes, then turn out onto a wire rack to cool. Add the flour, baking powder, salt and spices to the TM bowl and mix for 10 seconds on speed 6. Set aside. If using raw sugar, mill for 5 seconds on speed 9. Chop butter for 5 seconds on speed 8. Add butterfly and mix for 1 minute on speed 4, scraping down lid and sides of bowl half way through. Remove the butterfly. With the blades running on speed 3, add the egg yolks through the hole in the lid, this should take about 30 seconds. Whisk the egg whites by hand or in a stand mixer until firm peaks form. Transfer the batter from the TM bowl into a large bowl. Add half the egg whites and flour mixture to the batter and whisk together carefully. Repeat with the remaining egg whites and flour mixture. Mix well.